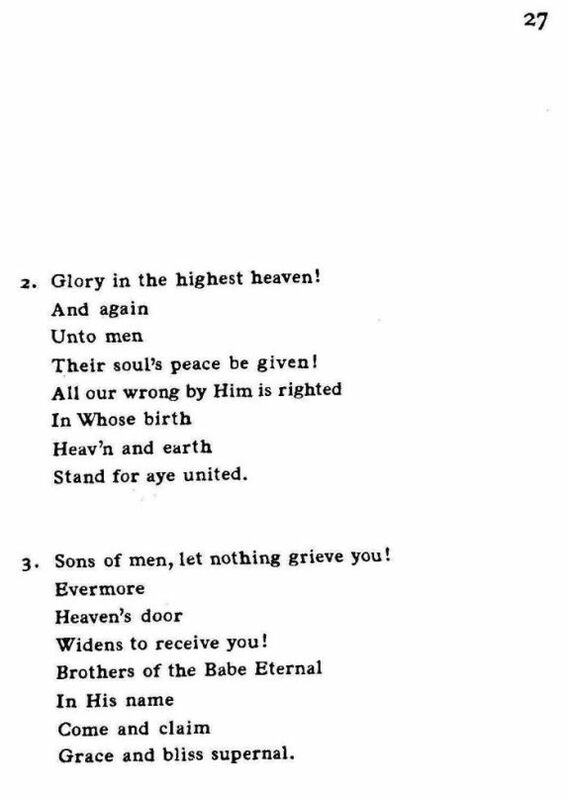 Source: Richard Runciman Terry, Two Hundred Folk Carols (London: Burns Oates & Washbourne Limited, 1933), Carol #150, pp. 26-27. 1. All the skies tonight sing o'er us! 2. Glory in the highest heaven! Their soul's peace be given! 3. Sons of men, let nothing grieve you! 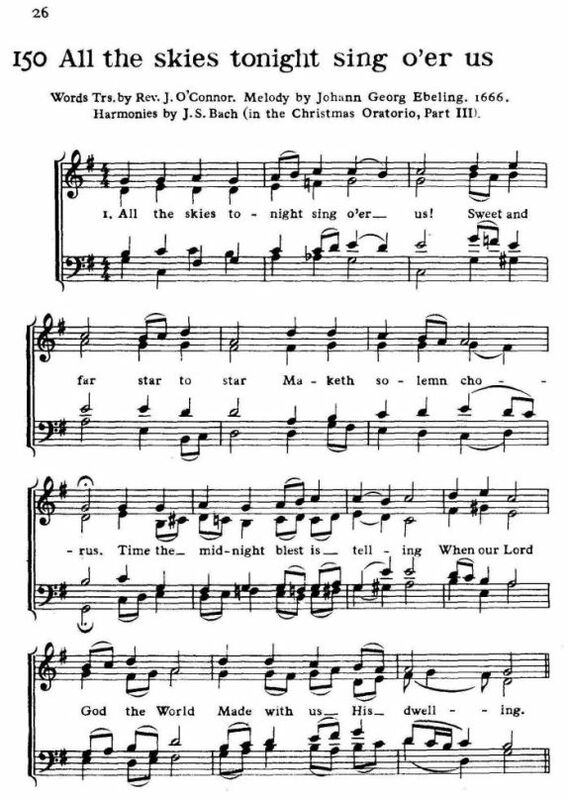 Sheet Music from Richard Runciman Terry, Two Hundred Folk Carols (London: Burns Oates & Washbourne Limited, 1933), Carol #150, pp. 26-27.